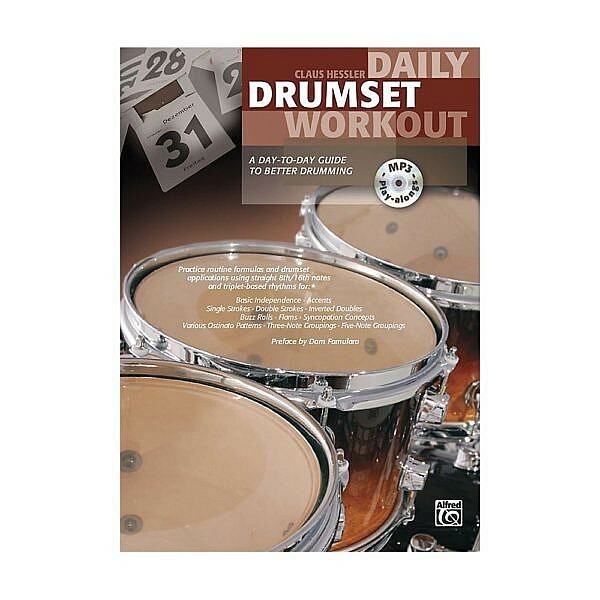 Daily Drumset Workout, A day-to-day guide to better drumming provides practice routine formulas and drumset applications using straight 8th/16th notes and triplet-based rhythms. This book covers basic independence, accents, single strokes, double strokes, inverted doubles, buzz rolls, flams, syncopation concepts, ostinato patterns, three and 5 note groupings. Claus Hessler is an in demand session drummer and educator, who regularly tours the world playing drum clinics and shows, and contributes to leading drum magazines and publications world wide.